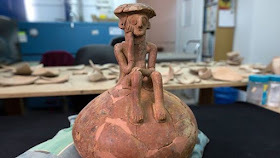 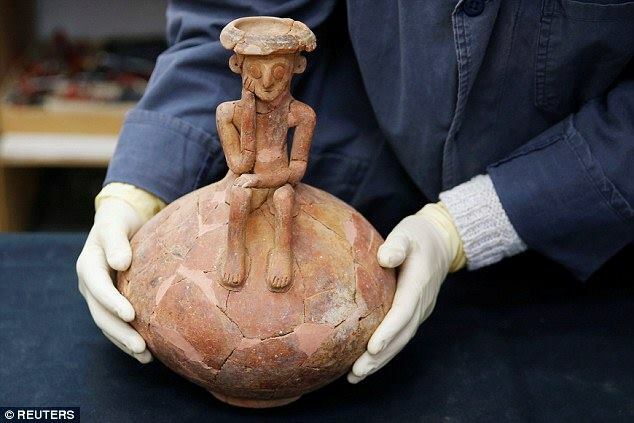 A "unique" 3,800-year-old figure wearing a hat and with its chin resting on its hand - was discovered recently in excavations at Yehud, east of Tel Aviv. 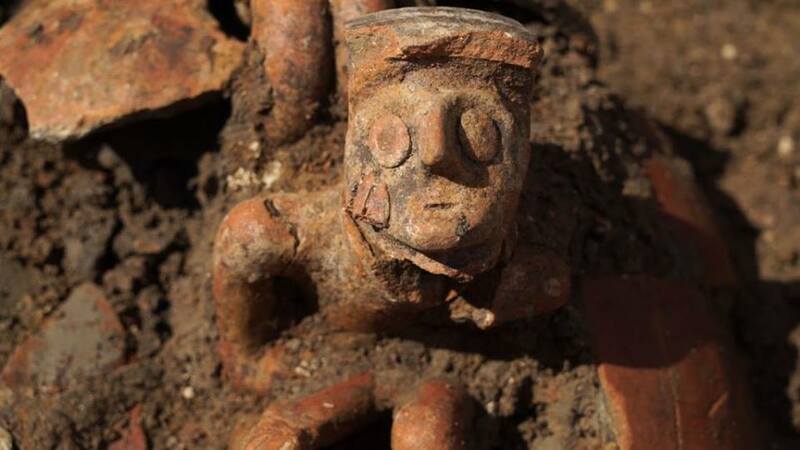 The 18cm jug was found in a grave alongside other funerary offerings including daggers, arrowheads, and an axe head. 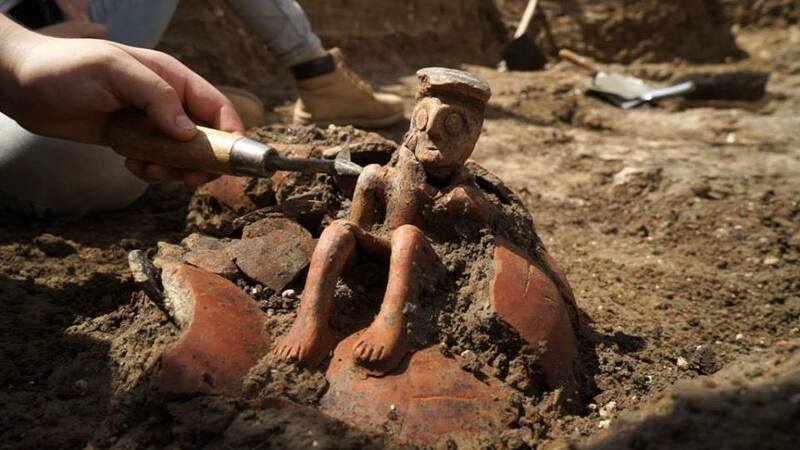 "Such a unique ceramic vessel, which is the first we've found, within the context of the grave, can indicate that an important person was buried there," Gilad Itach, the authority's excavation director, told AFP news agency.